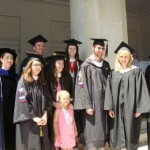 Five Russian majors and 3 Russian minors graduated from Dickinson on May 20, 2012. 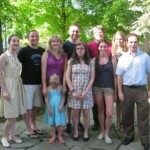 The 2012 Russian major graduates are: Laura Hechtlinger, Michael Hoke, Sara Ramsay, Olivia Stevens, and Andrei Vernon. 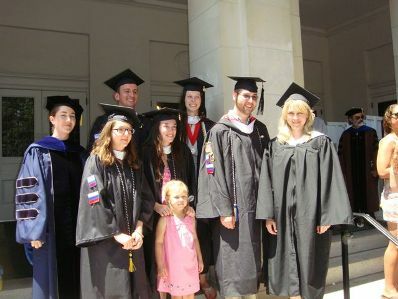 Graduates wore a Russian flag on the right sleeve of their gowns to indicate that they have studied abroad on the Dickinson-in-Moscow program. 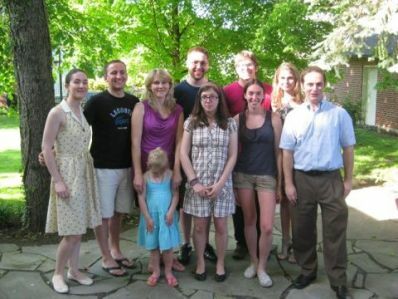 Michael Hoke and Andrei Vernon were awarded departmental honors for their senior theses, while all 5 majors and 1 minor (Jim Franklin) were inducted into the National Slavic Honors Society, Dobro Slovo. The commencement speaker was CIA Director Gen. David Petraeus, who urged the class of 2012 to be voracious readers. The evening before the graduation ceremony, department faculty held a reception for all students (and their families) who have taken Russian during their 4 years at Dickinson.